10/10/18 - For those of you that haven't seen us since the album launch, we continue to write new material, and debuted our latest song 'Late of the Night' at all our recent gigs. We love writing new stuff and seeing your warm and supportive responses so thank you very much for keeping up to date with us. There are exciting things ahead for IRIE FIRE so keep visiting to see what we're up to next! 19/7/18 - IRIE FIRE are super excited to announce that we are headlining Saturday night at Devon's 'Wolf Festival'. We can't wait to come and party with you and bring our summer reggae vibes! 13/6/18 - IRIE FIRE's debut album is now available to stream on Spotify, and to buy on iTunes, Amazon Music and other digital platforms. Check it out! 9/6/18 - Amazing gig at Mr Wolfs in Bristol last night. We support Da Fuchaman and The Fire Blaze Band and they were lovely people and had an amazing reggae sound. We look forward to hanging out with them at One Love Festival this summer! Make sure you check them out! We had a lovely crowd and we really appreciated the lovely comments! We look forward to hopefully returning to Mr Wolfs in the future! 3/6/18 - WOW! What a night we had! Thanks so much to everybody for coming down and supporting us for our Album Launch Party. The Datura Roots Collective kicked off the night with a bang, getting everyone up on their feet dancing and The Brit Bar had an amazing atmosphere. We were very proud of our merchandise stand and overwhelmed with how many people bought our CDs, T-shirts and accessories. It was totally worth all the hard work the band put in. Jonny and Lea rocked the vinyl decks keeping the reggae vibes flowing as The Brit Bar became the busiest we've ever seen it! Massive thanks to Tom and Kaylie for being long-time supporters of the band, and putting in extra time to make The Brit look amazing, even creating an 'IRIE FIRE' drink! Also big thanks to Karl and Carlos for making us sound great as always! We cannot explain the wonderful feeling the band felt when you sang our songs to us, we are so proud of our journey so far, and are so excited to go and smash the festivals this summer! Your continued support is so appreciated. Enjoy the tunes! 29/5/18 - IRIE FIRE are so ready for the Summer! Look out for us at these festivals, but make sure you get down on Saturday night to our album launch party! 5/5/18 - IRIE FIRE are now in the final mixing and mastering phase this week of the debut album. It sounds fantastic, huge thanks to Charlotte and James at Orchard Studios for all their dedication. We cannot wait to share it all with you, and dance with you all this Summer. Don't forget to check the 'SHOWS' page and get to one of our upcoming gigs. If you want to be one of the first to get your hands on the album, you can pre-order on the 'SHOP' page, or pick up a copy and other merchandise at our Album Launch Party at The Brit Bar, W-s-M on Saturday 2nd June! 2/4/18 - IRIE FIRE have just finished recording their debut album at Orchard Studios in Barton St. David with many thanks to James and Charlotte and the wonderful addition of Joe Atkinson on the keys. The album in now going through the mixing and mastering process and it will be available to listen to online and to buy from June 2nd (the night of our album launch party!). If you want to guarantee yourself a copy in the first bulk order you can pre-order it by visiting our SHOP HERE. Thanks for everybody's support, we can't wait to share it with you all! 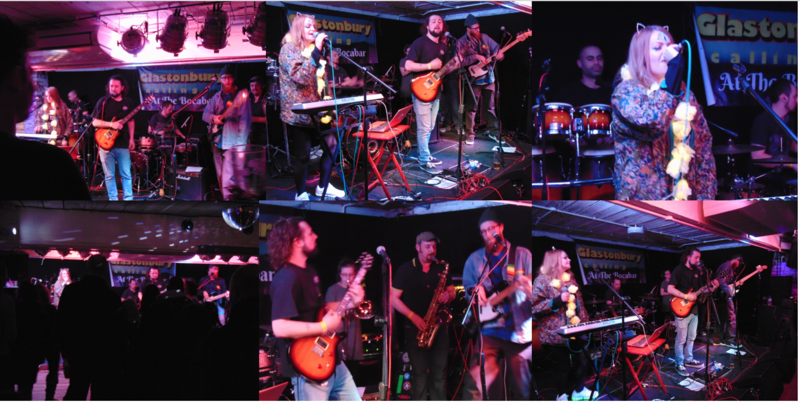 25/2/18 - IRIE FIRE played a fantastic gig last night at The Bocabar as part of the 'Glastonbury Calling' event. They filled the venue with reggae vibes and got everyone on their feet. Check out the videos and photos on the WATCH/LISTEN page and find us on Facebook, Twitter & Instagram, we do appreciate the likes and shares! Thanks for having us and a special mention to GFM for supporting and plugging us! 13/2/18 - As you may have heard, IRIE FIRE are recording an album soon. We may need some help with this so keep an eye out on the website and social media. We have a home gig booked on SATURDAY 2ND JUNE at THE BRIT BAR, W-S-M for our album launch party. Put the date in your diary and look out for more info coming soon! 10/2/18 - We are very excited to announce that IRIE FIRE will be playing at SAT IN A FIELD FESTIVAL, near Cheddar in August, which also just happens to be the weekend of our horn section's first wedding anniversary! Come and celebrate with us and get your early bird tickets on their website now. 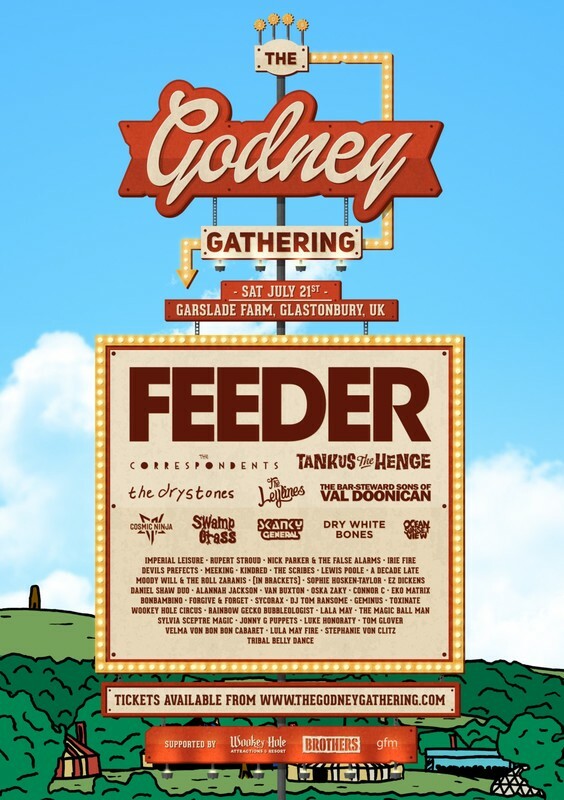 There's a great line up so far with more headliners to be announced! 20/1/18 - We are very excited that we can finally spill the beans that IRIE FIRE will be appearing at THE GODNEY GATHERING this year! 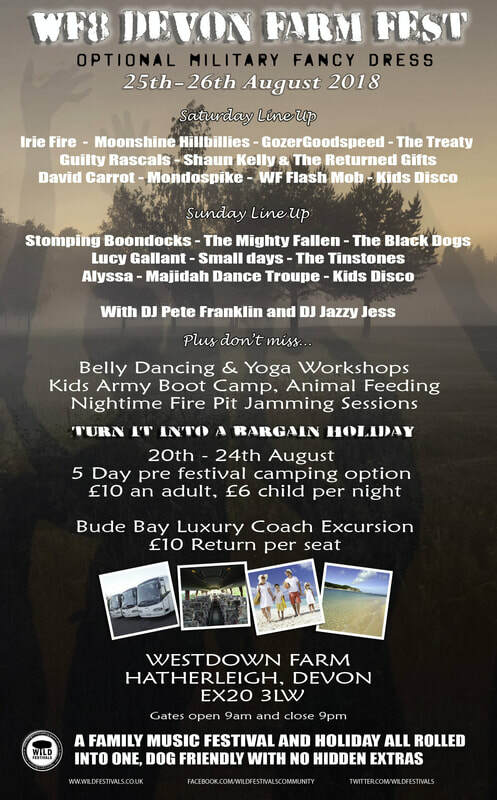 The hugely popular one day festival have got a fantastic line up. Thank you so much for having us, we can't wait to spread our reggae love this summer. 14/1/18 - We are pleased to announce that with thanks to Ian at Glastonbury FM, IRIE FIRE will be playing at GLASTONBURY CALLING on Saturday 24th February at the Bocabar in Glastonbury. Also playing at the event are Talisman, Banco de Gaia and others. For more information go to to Glastonbury calling Facebook page. The band are looking forward to this great night of live music in a fantastic venue. 4/1/18 - IRIE FIRE enjoyed appearing on 2 Glastonbury FM shows recently showcasing their original material. A great time was had by all and the hosts very welcoming, spreading the word about our music with some really great feedback. The November show can be heard on mix cloud on the WATCH/LISTEN page and there is also a video clip if you'd like to have a look. Thank you Ian and Jem at Glastonbury FM! 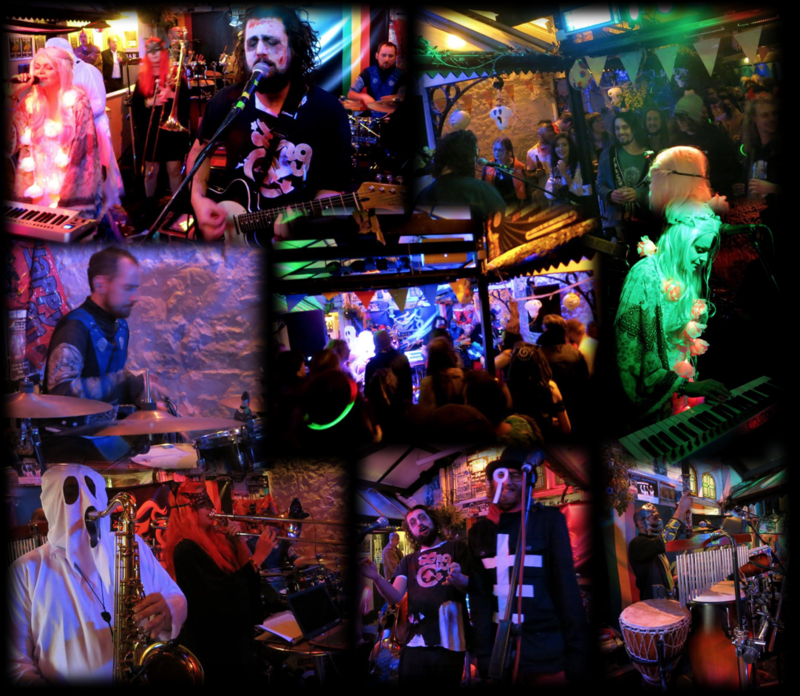 29/10/17- Well, a fantastic night was had by all when IRIE FIRE hosted a halloween themed gig at The Brit Bar in W-s-M. The band dressed up, and the crowd certainly made an effort with their costumes. IRIE FIRE played some new originals and finished the night off with a unique version of Thriller which went down a storm. Thanks to the new artwork from Jonny Pagett the band were rocking their new banner and drum skin looking the business. Fab effort everyone and special thanks to Karl Griffiths on the PA for getting our sound spot on as always! IRIE FIRE are ready for your festival stages so get in touch! 19/10/17- IRIE FIRE have a newly designed logo thanks to our friend Jonny Pagett. Look out for some merchandise coming in the near future! 15/10/17- IRIE FIRE are preparing for a halloween party to remember at The Brit Bar on Saturday 28th October. Come in your best fancy dress, there will be prizes for the best dressed and lots of sweets and spider-webs! 23/08/17- IRIE FIRE have just received our recordings back from James and Charlotte at Orchard Studios and we are excited to release 2 tracks for you to listen to THIS FRIDAY at our gig at Loves Cafe. Grab a little flyer that will tell you how to listen to our brand new tracks on this website! 15/08/17 - IRIE FIRE will be performing a toned down slightly unplugged set at Loves Cafe this Friday (25th August). We will be video recording the gig so get on down and get in our video to help us get some footage so we can hit the festival season next summer with our reggae vibes! 30/5/17 - IRIE FIRE HAVE RECENTLY RECORDED SOME TRACKS DOWN AT ORCHARD STUDIOS IN SOMERTON WITH CHARLOTTE AND JAMES. KEEP AN EYE OUT FOR OUR RELEASE SOMETIME IN JUNE...MORE INFO TO FOLLOW!